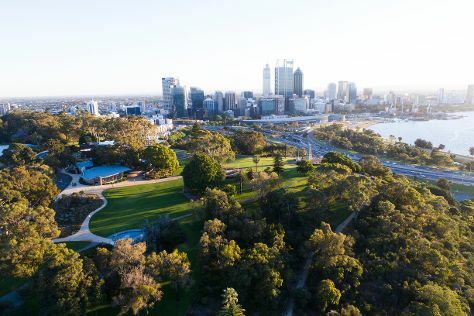 Get out of town with these interesting Perth side-trips: Caversham Wildlife Park (in Whiteman), Dolphin & Whale Watching (in Mandurah) and Fremantle (Western Australian Maritime Museum, The Shipwreck Galleries, & more). Dedicate the 4th (Tue) to wine at some of the top wineries in the area. On the 6th (Thu), give your taste buds a day to remember with a local gastronomic tour. There's lots more to do: take in nature's colorful creations at Kings Park & Botanic Garden, explore the world behind art at Art Gallery of Western Australia, pause for some photo ops at The Bell Tower, and enjoy the sand and surf at Cottesloe Beach. For other places to visit, reviews, maps, and tourist information, go to the Perth road trip website . If you are flying in from Malaysia, the closest major airport is Perth International Airport. June in Perth sees daily highs of 23°C and lows of 9°C at night. Finish your sightseeing early on the 8th (Sat) to allow enough time to travel back home.